This sectional in dark brown features tufted back and seat cushions with decorative stitching. The arms and trim are also adorned with the decorative stitching. 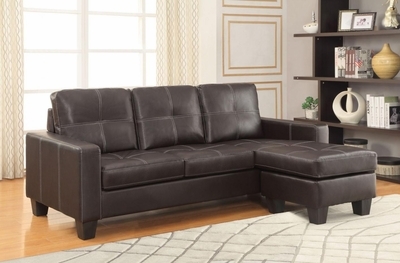 With flat sides, you can place this sectional right against the wall.